Alrighty! 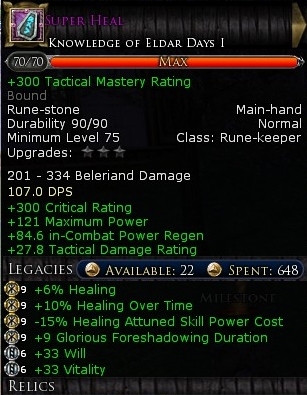 Let’s talk about Runekeeper Legacies for Legendary Items (LIs). As a RK, to be your best in any situation, you need to be able to work effectively as both a DPS leader and as a main healer. 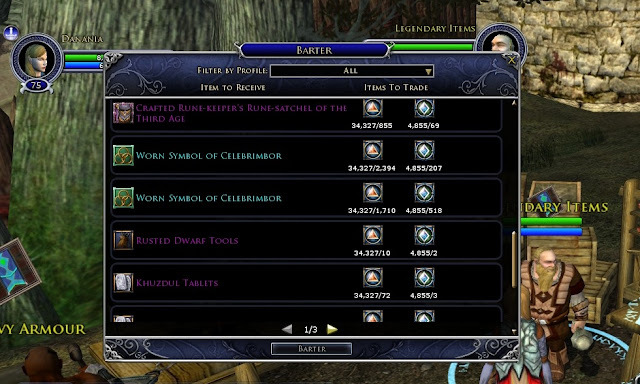 In lotro, there are four classes whose primary role is Damage: RK, Hunter, Champion, Burglar. When played correctly, all four equally do the best damage in game. Like all classes, there is more to it, but the RK is a Tactical nuker, the Hunter is a Ranged master, the Champion is master of Area Damage, and the Burglar can disable a foe and carve them up. Similarly, the main healers in the game are the Minstrel and the RK. One thing to realize is that the RK is NOT going to be the best Damage Dealer AND the best Healer at the same time. 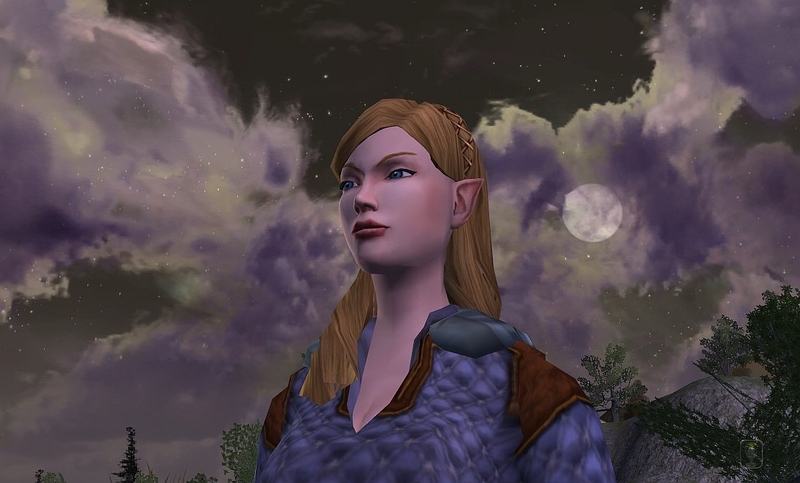 There is an Attunement bar that forces the RK to choose what “stance” she is in. Know your role in the group and plan accordingly and effectively. Furthermore, the build, specifically the choices one makes with LIs and traits, will determine the Healing or Damage ability of the RK. Therefore, to be effective, we will build 4 Legendary Items: 2 healing and 2 DPS. How do we choose legacies for legendary items? Let’s break down the options. First, we will look at the RK stones. Next lesson will be on RK bags. (Update 06/05/12: see legacies-for-rk-bags for RK bags). When considering Legacies, there are “Major” legacies and “Minor” legacies. You can see the difference by the color of the ring around the icon. Major = gold, Minor = silver. See the picture below. Gold. Silver. Got it. Yeah, I know it is hard to see. Trust me, and know that there are Majors and Minors. When you first identify a LI, it will have three major legacies. At level 10 Reforge, you get another Legacy, At level 20 another, and level 30 another. All LIs these days have exactly 6 legacies. On the Reforge, you will usually get a Minor legacy, with a slim chance to get a Major. So, at level 30, you will likely have 3 Majors and 3 Minors. That is really just fine for a RK. Do NOT begin your build until level 30. But do start your plan before level 40 (when you are offered tier upgrades). At levels 40, 50, 60, and 70 (via a scroll of delving), you gain the option to gain +1 tier to a legacy. So, you will want to have your 6 legacies locked down between level 30 and 40 to maximize the natural upgrades without having to use more Scrolls of Empowerment than necessary. Here are the major legacies for RK stones. I subdivided them by what they do. There are 7 Major legacies. You will likely get to choose 3 of them for your RK stone. Likewise, here are the Minor legacies. There are 8 of them; or you can slot a Stat legacy instead of those. Let’s build a RK stone for maximum DPS. Which to choose? Of the 16 choices… 4 are Healing, 2 minimize power consumption, 3 add Lightning damage, 2 add fire damage, 1 adds cold damage, 1 changes fire CoolDown, 1 changes Cold Debuff, 1 adds Finesse, and finally the last is the for adding a Stat. Power (2): Second. You are a RK, you are soaking in Will & power, you aren’t seriously running out of power, so scratch the power consumptions. (Battle Attuned skill power cost, Steady Attuned skill power cost). We are here to maximize Damage. Distracting Flame CD: Next, let’s look at the Fire Cooldown: Distracting Flame. Maximizing this legacy would make Distracting Flame have a near nil CD, effectively it would be like a heftier DOT version of Fiery Ridicule. It is a worthy consideration. If you use it, be sure to get it into rotation. Damages (3): Fire skill Damage, Fury of Storm Damage, & Chill of Winter Damage are all straight damage across the board. We like these. Wrath of Flame Damage over Time: This one increases the DOT portion of the Fire skills. It is a very useful thing when you are in a group and able to “fire” off Fire skills. Fury of Storm Critical multiplier : This one is excellent. What RK doesn’t like seeing the crits start to roll and landing shots that do damage over 10k several times in a fight? Along with good traiting, good stats, & fortuitous combinations, this legacy is a must to get the big hits. Vivid Imagery targets: Let’s look at Vivid Imagery. There is a good daze, and the chance for crits start to roll. The CD is long so this skill is one of the most cautious of the skills as to when to pull the trigger. The base targets = 3 (this picture is older and doesn't match my current LI if you are keeping score). What is it worth to you to take out more foes? Chill of Winter Debuff Duration: What is it worth to you to have your Chill hits last longer? How many are you using per fight? Finesse: This legacy adds +670 finesse, up to +750 finesse at max. +670 finesse reduces an enemies resistance, block, parry, and evade by about 1.87%. Is it worth it, or would a better legacy be more damaging? Stat: You can always add a stat to give a bonus to Will, Vitality, Fate. For DPS stone, I am certain we have enough good options without using a Stat legacy. Plenty of these other legacies will maximize more damage than the addition of a Stat. Vivid Imagery targets, Chill of Winter Debuff Duration, Distracting Flame CD. Then I maximized (1) Fury of Storm Damage and (2) Fury of Storm Critical Multiplier. These are obvious to me to have the biggest impact. Then, I made some tougher choices. Fire is powerful in group. I nearly maximized (3) Fire Skill Damage and (4) Fire skill DOT, but I wanted another (5) Vivid Imagery target (I really like that skill). A couple of points were left over so I put them in (6) Finesse. I could have chosen a different 6th legacy of some of those above, but then you ask the questions, what is worth more… 1.9% enemy resist reduction from Finesse, or a 2 second improvement in Chill of Winter debuff duration, or 2% extra Chill of Winter damage? You can see that I have spent all I can spend. Every legacy worth adding points to is at Tier 6 (the icon that looks like a spider); the last one (Finesse) holds what was leftover. Ah-ha! But you NEED to be an uber-healer also dear RK! Change your frame of mind and look at the Stone legacies from a healer perspective. When you are a main healer in a group, everyone is counting on you to keep the bars full. Heck, when I was younger, I sometimes didn’t even know where we were. It isn’t important. Let no one die and everything else will work itself out. Again, we have 6 Legacy choices. The first four are no-brainer. Take the 4 Healer legacies (Healing, Healing Attuned skill power cost reduction, Healing over Time, Glorious Foreshadowing duration). The other two? Well, you are healing, which of the rest of the legacies will help you heal better? I will not take away from my ability or my focus to heal my group. The other two were a clear choice for me… 2 stat legacies. I chose Will and Vitality, though Fate is a good alternative. Clearly, with this Healing Stone, I didn't add anything to the Tactical Damage, which would be a waste of points as I am focused on green bars only. The observant will notice that my Healing Stone is actually a 3rd Age LI (the purple colored title). Well, I made it before the skirmish camp started giving away Worn Symbols of Celebrimbor (cost is 2394 marks and 207 medallions) used to make the 2nd Age LIs. What is the difference? At this point, very little. My 3rd Age LI needed more Scrolls of Empowerment to gain the same effectiveness, but with the Tiers at max, it got there. The grand total of what I am giving up by comparison is about +3 Will and +3 Vitality (which is not worth a remake at this point). I would recommend getting the 2nd Age level 75 if you are just starting out. Update 06/05/12: Go to legacies-for-rk-bags for RK bags. Excellent post! Because of the duality of the class, it's hard to focus mostly on either DPS or Healing for a long time, and then *BAM* someone asks if you can come in as the opposite spec. My RK has mostly just been zapping and fwooshing away, so the section on healing LIs was especially helpful for legacy planning. Thanks! Yay Zyngor! I am so happy you got something from the post; that is why I write! The other half, concerning RK Bags, will be posted next Tuesday! Haladain from Landroval - Thank You for such a concise and easy to use article! Definitely a bookmark! 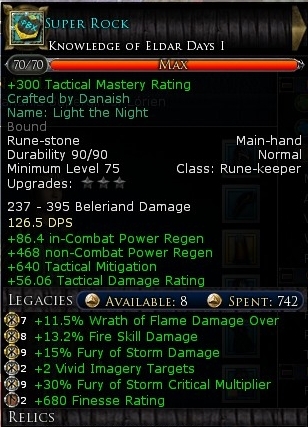 This isn't about the legacies, but what are those stats under the ___ DPS line of your legendary item? I understand the + tactical damage rating, since I have that on my weapons too, but how did you get your super heal stone to give you +300 critical rating, + 121 maximum power, and +84.6 ICPR? It doesn't appear to be related to the title you chose, your legacies, your relics, or a star-lit crystal. I would like to get those extra bonuses too if possible. 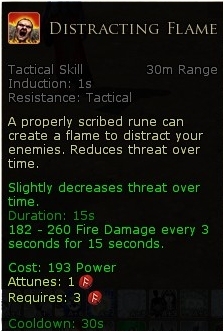 Nevermind, I think I figured out that it is because runestones count as a 2-handed weapon and you get extra stats for some reason because of not being able to dual wield or hold a shield. Glad you figured it out. All RK stones come with random passives, meaning you have no control over which ones the stone has. However, the better the stone, the more passives it has... a 1st age has more than a 2nd age which has more than a 3rd age. The higher the level the better the passives as well. At http://www.danania.net/p/danania-85.html, you can see two other stones' passives. Those are 1st age level 85. One has +512 morale, +44 Vit, +44 Will. The other has +43 Vit, +43 Fate, +424 Crit.